“I love taking selfies so having a reliable front camera is important [to] me,” she said when asked what she appreciates about V9’s camera features. Moreover, Kathryn is excited about the V9’s dual camera. A travel enthusiast, Kathryn can now take flawless shots using the V9’s dual rear camera and make them more interesting by with the special bokeh mode. Daniel, on the other hand, makes good use of his Vivo V9 when playing video games. With his busy lifestyle, Daniel can relax while playing with the V9’s upgraded Game Mode to create a customized, uninterrupted gaming experience. “[When I am on my free, relaxing time, there is no problem] blocking message alerts and calls when I am on my phone playing a video game.” Daniel testifies. Because of the V9’s Snapdragon 626, a powerful chipset, Daniel is also able to experience a smoother performance when playing a video game on his Vivo V9. 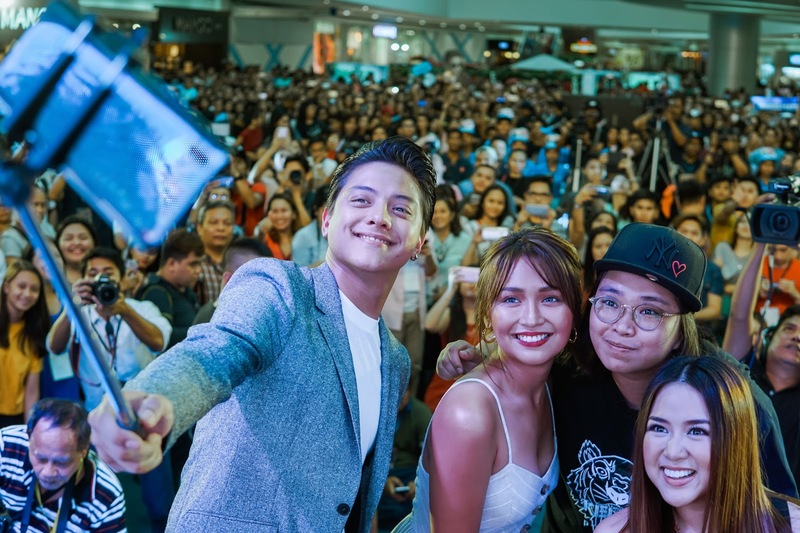 Top stars Daniel Padilla and Kathryn Bernardo, also known as KathNiel, take a groufie using the Vivo V9 with Vivo Philippines Brand Director Annie Lim and Myx VJ Ai with the massive crowd at SM Mall of Asia on April 21, 2018, Saturday. Kathniel, being movie stars are likewise movie buffs. With the Vivo V9’s 6.3 inch Full view display, watching films whether or not they are on the go makes for a better visual experience. 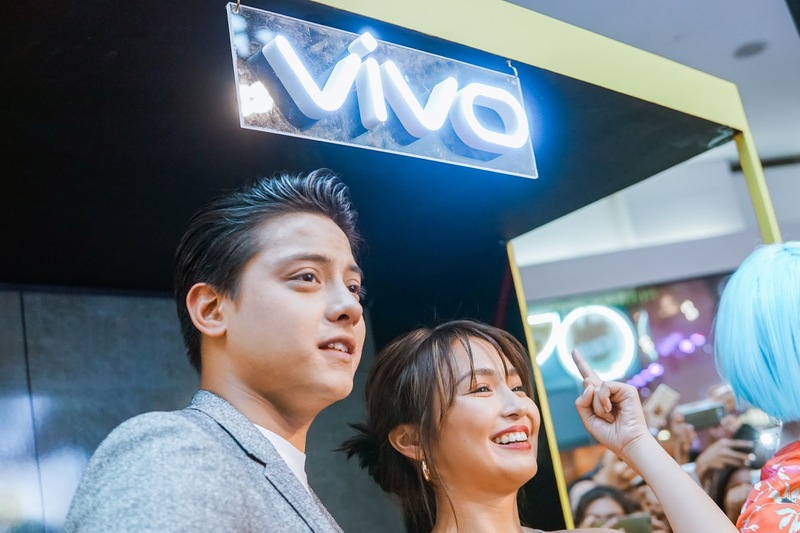 Both Kathryn and Daniel personify the young and hip Filipino demographic that it is why Vivo had no second thoughts signing up the love duo to represent the brand. 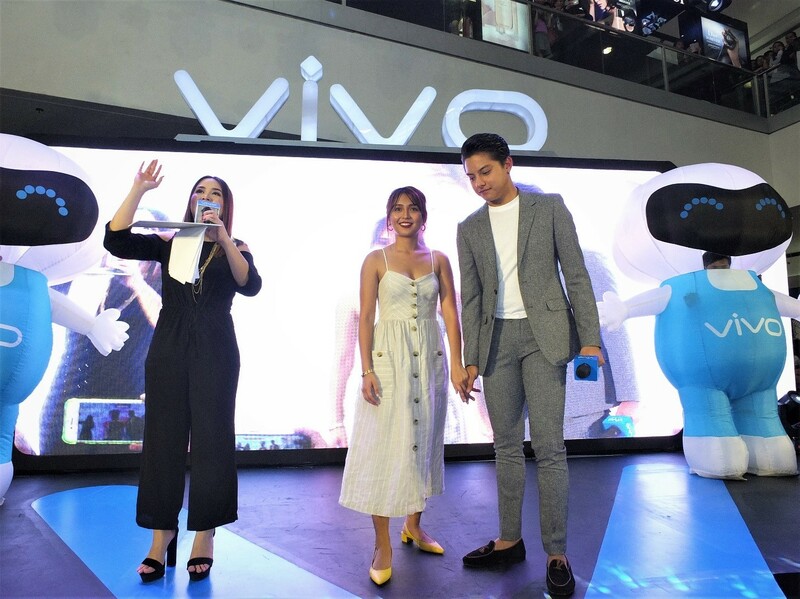 With the impact of their huge following on and off social media, Vivo is set to earn a surefire top spot in the hearts of smartphone users nationwide. Kathniel’s Vivo mall tour is only one of Vivo Philippines’ efforts to introduce their latest flagship smartphone, the Vivo V9 closer to the smartphone users. The Vivo V9 is an artificial intelligence (AI) selfie camera with a 16 MP+5 MP dual-camera setup. Much like its predecessors, the V7 and V7+, the V9 also rocks a 24 MP selfie camera that comes with features like AI Face Beauty Natural Light, Studio Light, and Monochrome background which brings selfie-taking with the new Vivo smartphone several notches higher in the quality scale. Selfie-fans will also benefit in the ample phone display of the Vivo V9 as it could improve the overall composition of every photograph taken, with enhanced clarity and definition.